Give the gift of sustainable snacking this season! 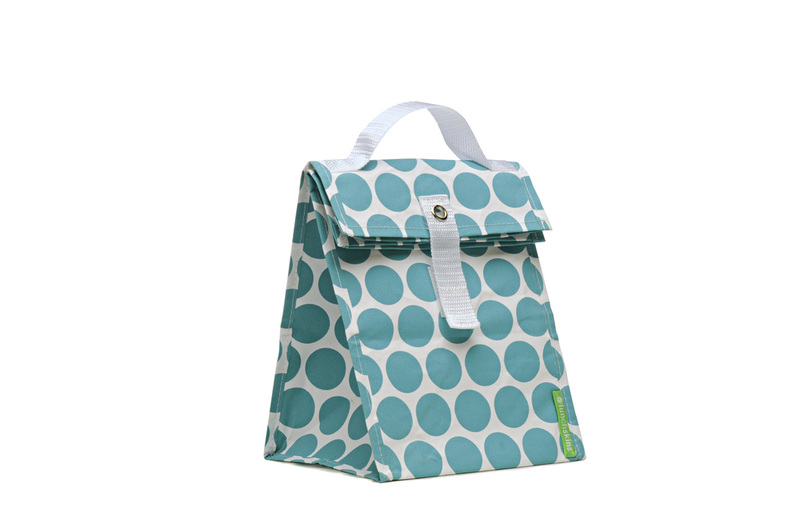 Enter today's giveaway to win LunchSkins reusable snack bags. These baggies are dishwasher safe, BPA/phthalate free, and a perfect alternative to plastic bags. Start the new year with these smart and stylish snack bags, then pack them with healthy Slender Seven snacks. Preheat the oven to 350 degrees. Purée the dates in the food processor, then press them firmly to the bottom of a square baking pan lightly greased with nonstick coconut oil spray. Add the pecans, maple syrup and molasses to the food processor and pulse to combine. Transfer to evenly cover the date crust. In a separate small bowl, whisk the 4 eggs then pour them over the pecan mixture, using a spatula to spread evenly. Bake for 18-20 minutes, or until a fork inserted into the center of the bars comes out clean. Allow the bars to cool for 10-20 minutes, then cut into 6x6 bars. Combine the popcorn and pretzels in a large mixing bowl. Microwave the hazelnut butter in a mug for 1 minute, Pour over the popcorn and pretzel mixture and toss to coat. Allow the mix to cool completely then store in the refrigerator in an air-tight container.